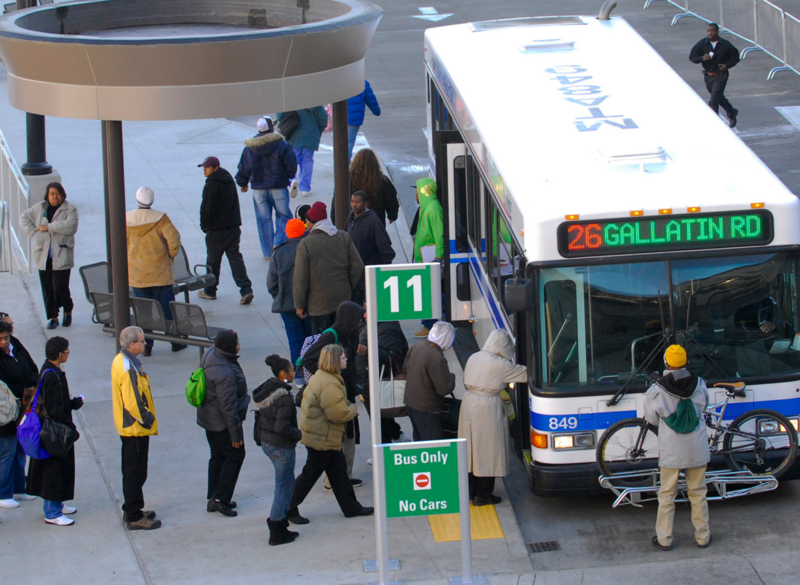 An MTA bus departs from the Music City Central station in downtown Nashville. Maier would like at least to see one highly-visible rail line as soon as possible. Officials say rail projects can take 10 years. The MTA also plans to simplify bus routes and add a few, although transit Planning Director Felix Castrodad said it’s too soon to say which ones. That means more study — even if there’s a clamor to take action now. Hear Felix Castrodad's explanation for Dickerson Pike as the most likely candidate for "bus rapid transit." 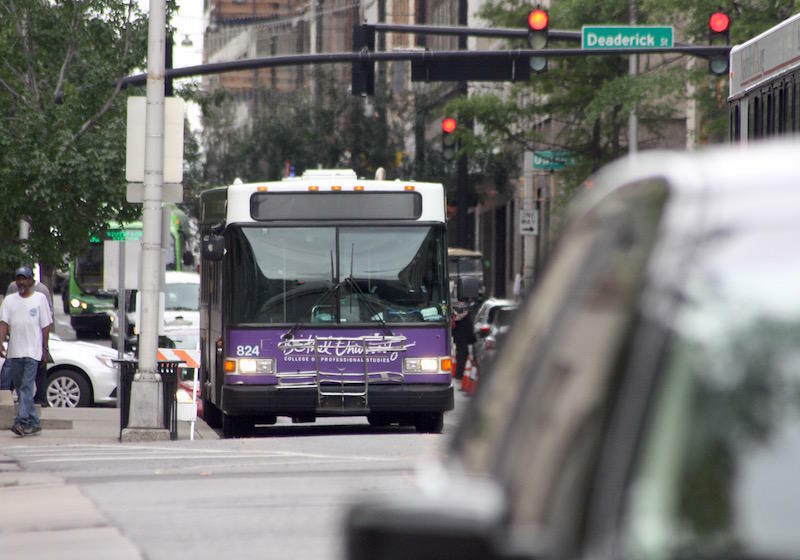 Perhaps the biggest near-term change could be extended hours for the buses. 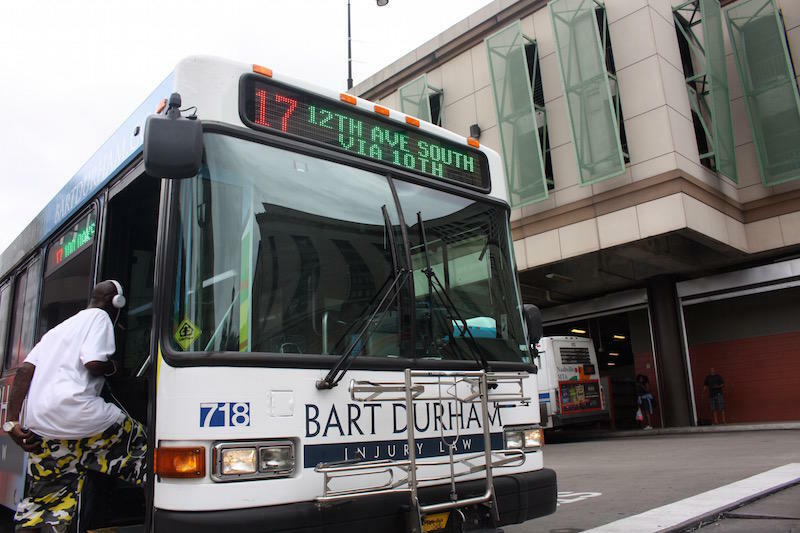 Among the other first steps will be making the fare payment system more high-tech, and streamlining how buses get in and out of downtown — there’s such a pinch there that buses average just 6 mph during the afternoon commute. The nMotion 25-year plan charts projects over 5, 15, and 25 years. Clarification: The original version of this story associated Tobi Maier with Transit Now. He has no formal position with the organization, but has attended its meetings. 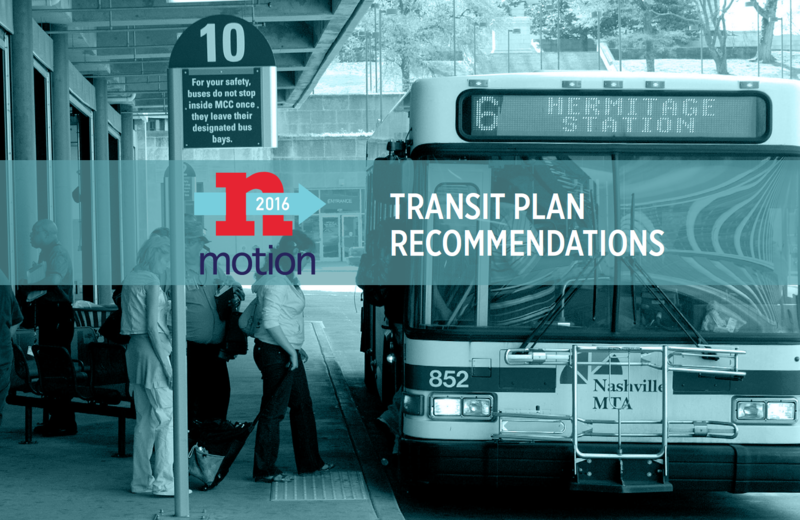 Light rail, faster buses, and even streetcars were revealed Thursday in Nashville’s most ambitious plans ever for mass transit — although they’re still in draft form.